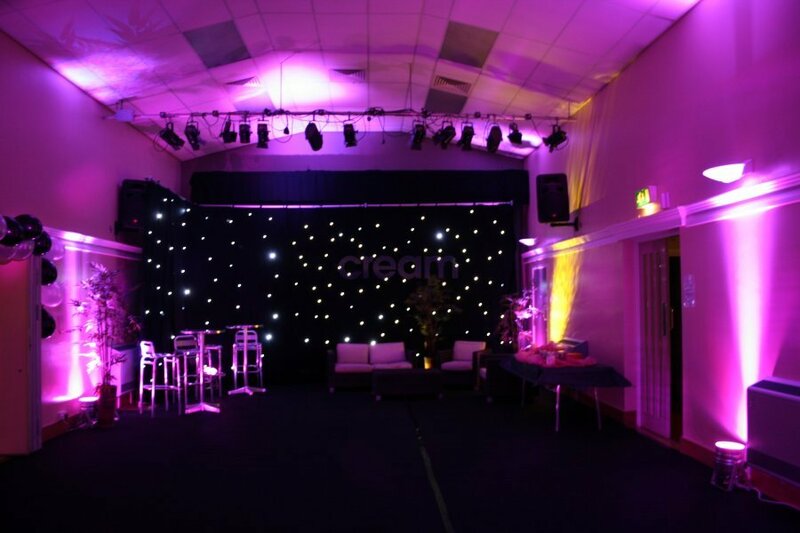 Starcloth, Starlit Drapes and Drapes are available to hire in Leicester, Nottingham, Northampton, and across the Midlands. Our team will ensure event looks spectacular! Starcloths are great for transforming a bland room into something wonderful. Whether you decide to cover a wall or completely cover a room, the results are simply amazing. 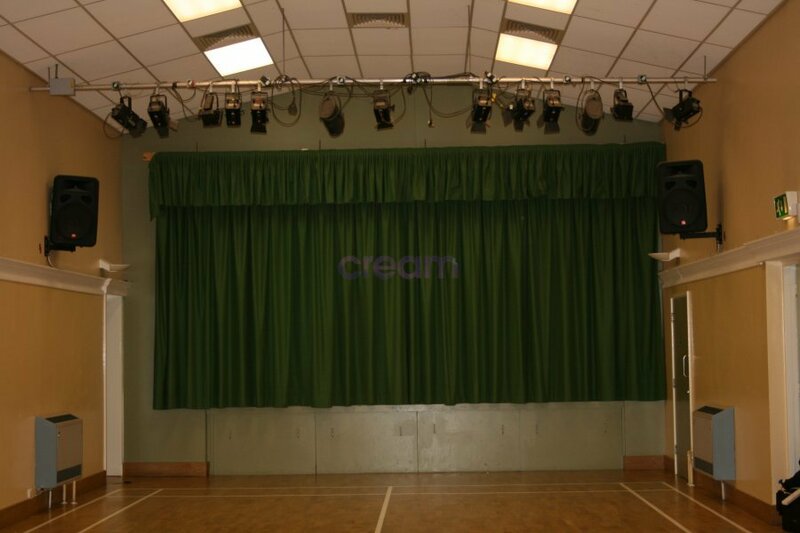 Our star cloth backdrops are becoming ever more popular at weddings and parties as it allows you to transform the look of your venue in a matter of minutes for very little cost! Star lit drapes are ideal for creating a feature wall, either behind a DJ or band, or even behind the top table during your wedding breakfast. All of our drapes are made from high quality fireproof materials and our starcloths are controlled by dedicated controllers, allowing our customers to choose the speed, brightness and patterns that the cloth can produce. Tip: Another fantastic use of starcloths is to use them as room dividers. If your wedding breakfast and reception are in the same room, you can hide the dance floor area by using a starcloth to separate your room. 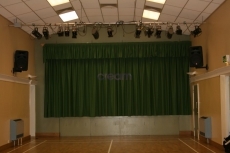 Below is a before and after picture at a village hall in Leicester, our client chose to use these facilities but wanted the stage covering, as you can see from the pictures, starcloth is perfect for covering ugly walls or features without wasting valuable space. If you require a backdrop for a DJ or band, then in most circumstances just one panel of starcloth would be sufficient, however, if you are looking to cover a wall or stage area then it’s best you call one of our experts who would be able to advise you as to how many panels of starcloth your venue will need. These measurements are based on per panel of starcloth.